This past weekend, we had a delightful time at the 2nd OBOD Mid Atlantic Gathering of US(or MAGUS). It was a wonderful weekend full of positive energy, community, and celebration of the land. I was involved heavily in the ritual planning and work this year and was the gathering’s keynote speaker, and we once again did a Galdr ritual (a chanting ritual) using Ogham (sacred trees). This year’s theme was “Sacred Time, Sacred Space” and as part of this work, we decided to re-enchant the land by establishing a new ley line network. We are co-creating a new ley line network across the land. The overall goal of this ritual was to re-enchanting our landscape, connecting sacred spaces and creating sacred spaces across the landscape, and connecting our broader druid community. The work involves empowering, connecting, and eventually, dispersing a set of stones to the broader landscape. I wanted to share parts of our ritual and work here as part of my “Sacred Landscapes” series. I say “share parts” because you can certainly talk the magic out of something, and I think that this is key for this particular ritual moreso than some others we have done in the past. However, I will share enough that others interested in this work have a blueprint for building their own ritual and the foundation of their own energetic work. Sacred points connected between many groves and individuals (what we did at MAGUS) with a central “hub” (the Stone Circle at Four Quarters). Even connecting two or more points is a good start to think about how the energies might flow between the two sites, enriching them and exploring the magic and energy that can flow between that connection. And this can be really simple: a standing stone you set up on a hill to bring down the solar current, connected to a sacred grove deep in the woods. Many ley lines of ancient times were only a few miles in length–in today’s age, without whole cultures behind us, doing smaller things is totally appropriate. So if you’d like to try this out, let’s first go through two kinds of background information and then onto some specific things you might do. The ability of people, over time and space, to shape these energy flows and enhance the magic of the land. If we take these six premises, we have a roadmap that our ancient ancestors offer us for the kind of re-enchantment of the world and creating sacred landscapes for here and now. There is so much we could do with this. Telluric and Solar Currents: A third piece of our Galdr ritual this year is the interplay and work between the Telluric and Solar currents. I described these in much more detail in an earlier blog post, but will briefly talk about what they are and how we are working them there. Most peoples, save modern Western Civilization, have some concept of “energy” and how it flows across the land. The model I’m describing here is based in conceptualizations from the Druid Revival tradition, but you’ll find that other traditions offer similar or complimentary understandings. In this view, we have two main sources of energy: the solar and the telluric, and one that is created through a synthesis and harmonious combination of these (the lunar). The Solar Current: Is the energy of the sun and the celestial heavens. The solar current comes down to the earth, and, as the ancient lore suggests, can be channeled and brought to/in/across the earth in various ways: through a properly set standing stone (see John Michael Greer’s Druid Magic Handbook), through a properly aligned temple or church (see John Michael Greer’s Secret of the Temple), or through a properly aligned ley network (see Pennick and Devereaux’s Lines On the Landscape, final chapter.). The solar current brings life, energy, vitalization, and power. The Telluric Current: Is the deep energy of the earth, rising up from the earth’s core. The Telluric Current comes up from the earth, and, as the ancient lore suggests, can be purified and enhanced with the Solar current. The earth’s energies are disrupted now, particularly with so many destructive activities taking place below the earth’s surface, fracking being the absolute worst of these. Most of the time in various cultures and in various ways, these energies were shaped and enhanced through human activity to bring healing, vitality, and abundance to the land. And that, too, is a primary goal with our Galdr ritual and Ley Line Network here we are creating through the MAGUS gathering. Galdr / Sacred Chanting:. We again used the idea of “Galdr” (which is a Norse word for “chant” or “incantation”) using our voices, chanting in unison to raise energy to enact a specific purpose. For us as druids, chanting Ogham (sacred trees) is more appropriate than the runes, so that is exactly what we used. I offered many more details on the Galdr and its origins in my first post from the 2017 MAGUS gathering, so I will direct your attention there. The Galdr chanting works well with a group of any size; with 70+ druids at this gathering, we used the Galdr chanting in four separate groups to raise a network of interrelated energies. If you had a smaller group, or individual, you might use a series of chants in succession. The point here is simple: you can use chanting (and we used sacred tree names) to raise up energy and direct it for the purposes of establishing a sacred network of sites, stones, or anything else. 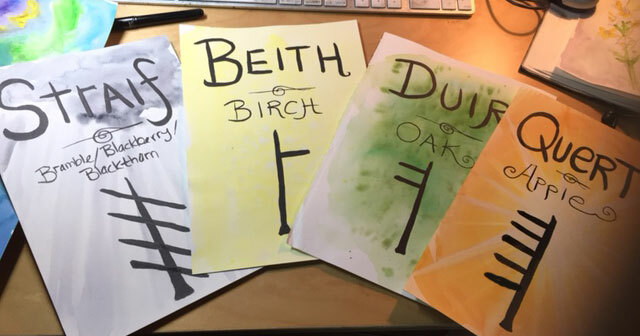 Four Sacred Trees and Ogham: Our ritual again uses Ogham (the Celtic tree alphabet, adapted to North American trees) for raising and shaping the energy of the ritual. 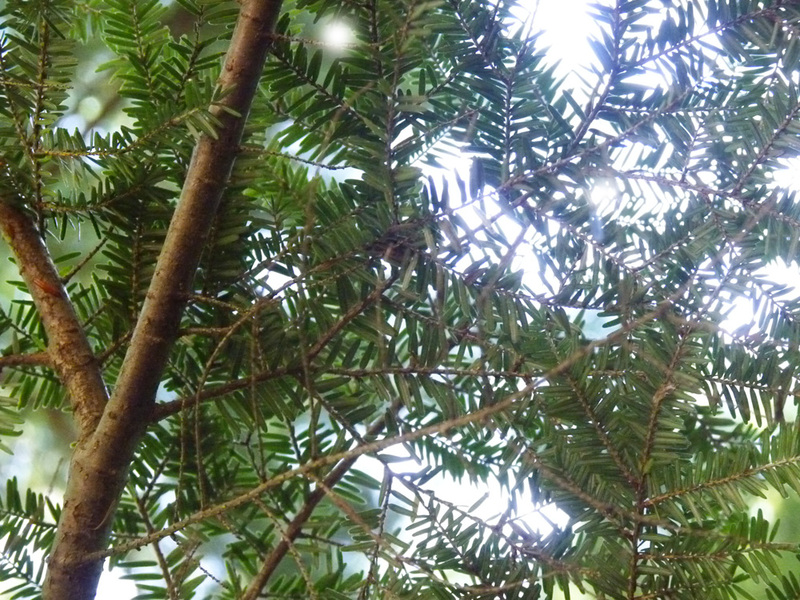 These trees, using their sacred names, are chanted to raise energy. The two ritual co-creators (myself and Cat at the Druid’s Well) sat for many months with sacred trees to see who would aid in our work. 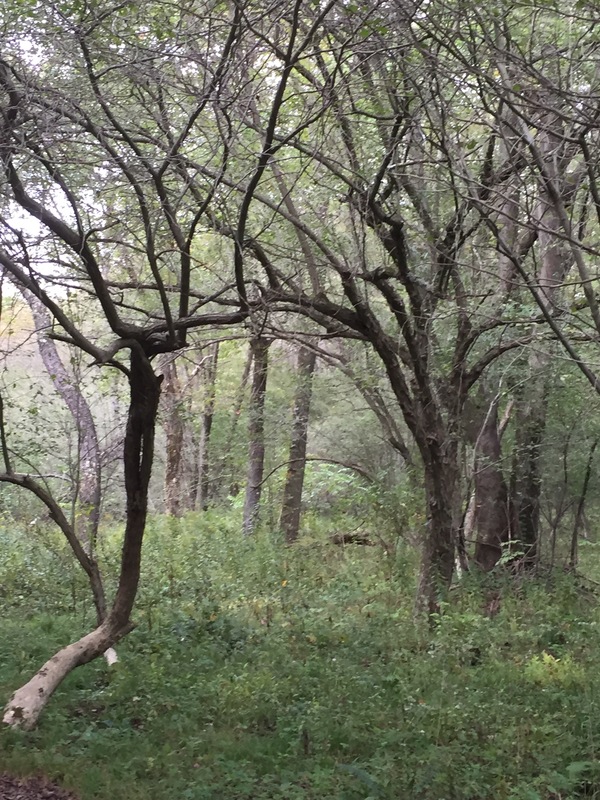 Since that is part of the “magic” of the ceremony, I’m not going to reveal much more here–but those wanting to do something similar should find four dominant and powerful trees on their own landscape that can aid in this work. One should be a tree that invokes peace between humans and the land, one should have some deep connection to spirit/otherworld to help create the network, one should help support that work, and one should serve as a container/strengthener to help hold the space. For our gathering, Loam Ananda, an incredibly amazing composer, wrote a ley line chant, which I have permission to share here. This is part of how we raised energy and brought everyone together. You can hear the full chant on Soundcloud here. Here is the melody to the chant (for one person or a small group). If you have more than one person, this is the chant for a larger group, with four harmonious parts. 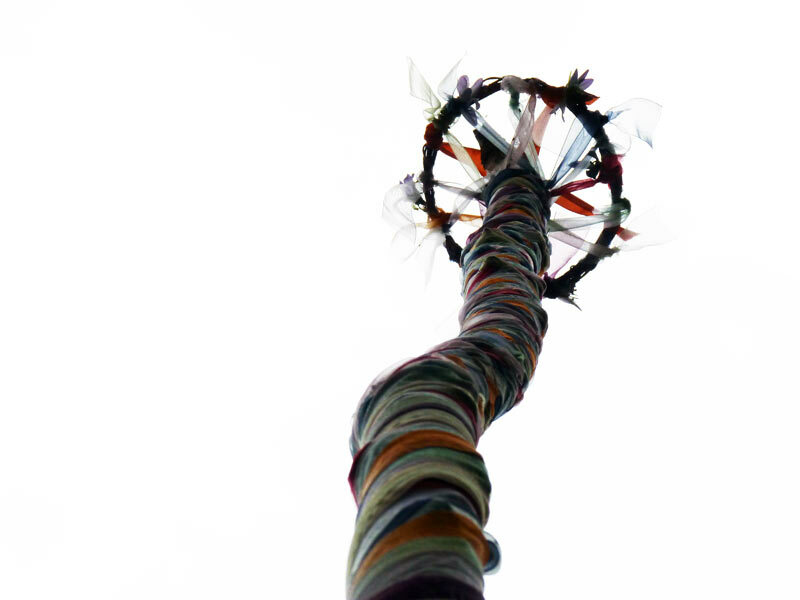 We have our four sacred trees in the bass part, but you can replace that with any other energies you are working to raise energy and connect space. This chant was taught to everyone prior to our main ritual and used both when we placed our stones for blessing/connecting/empowering during the gathering and also when we removed them to take home. Now that we have a framework and some ways of raising energy–one possible framework among countless others–we can look at two ways we can directly do some of this work. One would be in a larger group setting and one would be something individuals could do. Individuals can certainly do this work of establishing ley lines and sacred landscape features on their own, thinking about the connection between two or more sacred sites. The layers of complexity come in depending on how far you want to go, how many sites you want to build/connect, and the number of people you might get involved. Listening to the spirits. Follow your intuition and communicate with the spirits of the land about the work you’d like to do. Get a sense of what, where, and how you might to about doing this work. This may be as simple as a gut intuition or signs from nature (remember that the Roman Augurs often looked to weather patterns, birds, and clouds to determine “right alignment”). Once a site has been selected, spend time attending to the energies of the land. Before a sacred ley line can be created, you want to make sure the spirits of the land are in line with this purpose and that any land healing and energetic work that needs to be done in advance is done. Using stones or other features to connect two points. Take a stone from one place and set it ceremoniously in another place, raising energy while doing so and envisioning the two points linked. (See above for how you might do this)–we used sacred trees and chanting, but you can use the four elements blessings or any other magic you regularly practice. Regularly attending to the new line. Ley lines are both physical and energetic, and so it is useful to think about how these lines might be attended to regularly with seasonal celebration and ritual. They grow with power as we, as individuals and groups, attend to them over a period of time. What we did for MAGUS this year was in the spirit of what I discussed above, but a bit “bigger” since we had six ritualists as planners as well as numberous interconnected workshops and ceremonies. But the principle is the same. I’ll walk you through some of the basics of what we did. When people came to the gathering, the ritual began almost immediately. In an opening workshop, people a These are the activities that we did to move attendees into part I. Finding a Stone, Making it Your Own: Upon coming to the gathering, each participant was asked to find a stone–a stone that they would work, as an individual and as a group, to empower and eventually take home and ceremonially place in a sacred manner somewhere on their landscape. This stone becomes one of many “nodes” of our sacred network. In our case, since we were building something bigger, we thought it was important that the stones all come from the same place (Four Quarters Interfaith Sanctuary) as they will already be connected and our work would simply be to connect them further. Attuning to Stones: At the gathering, participants did a variety of things to attune to their stones. 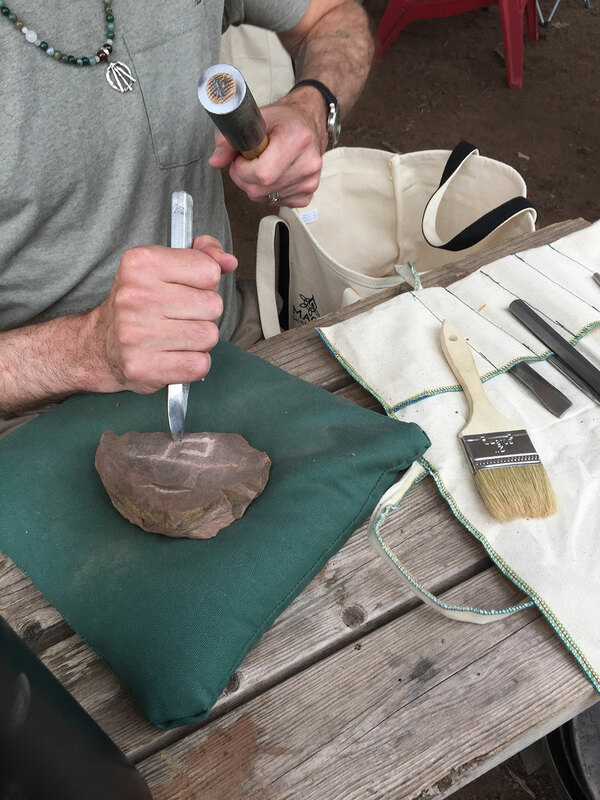 We had a wonderful stone carving workshop led by Forest Green, and druid attendees were able to carve ogham into their stone. The druids were also able to spend time in the larger stone circle at Four Quarters and attune to the energy there. Druids learned about chanting through a great workshop from Tom Dannsarach and Loam Ananda. Druids learned about sacred mapping and sacred place names from Cat Hughes. 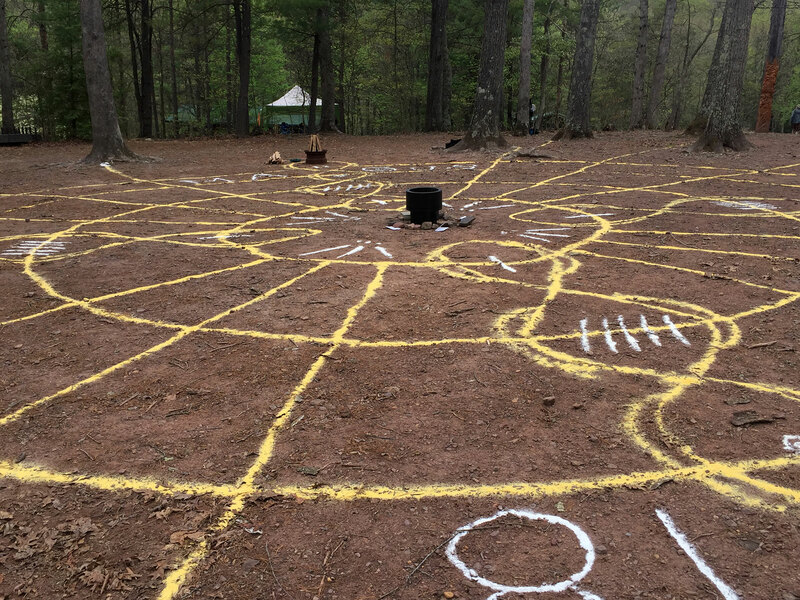 Four quarters forms the central “node” in our network and so, it was critical that our stones–and participants–were aligned with this sacred space. 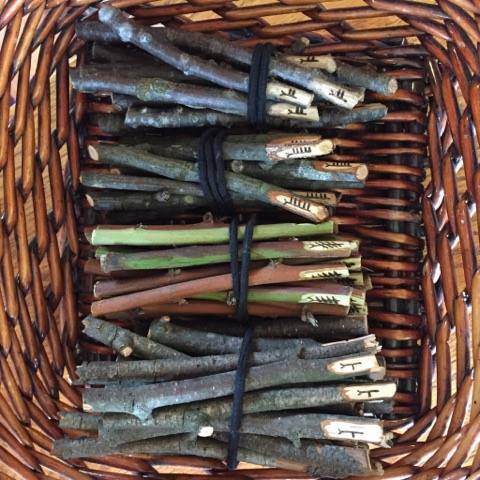 Attuning to the Four Sacred Trees: As part of our pre-ritual workshop, each attendee was able to draw an ogham to place them in their group and then spent some time, attuning to the sacred energy of the tree they were working. Each group also had an opportunity to learn more about their tree and the mythology, magic, and specific energy that tree was bringing to our ritual. 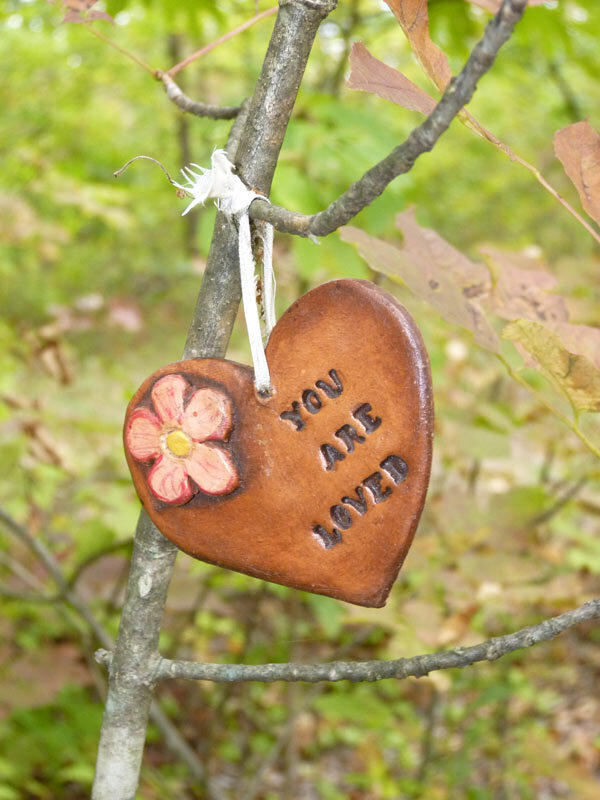 Each group did this differently, as each group’s role was unique in the ritual–some sat with the tree in question, others journeyed inward to meet the sacred tree and receive a message, learning how to hold sacred space, and so on. 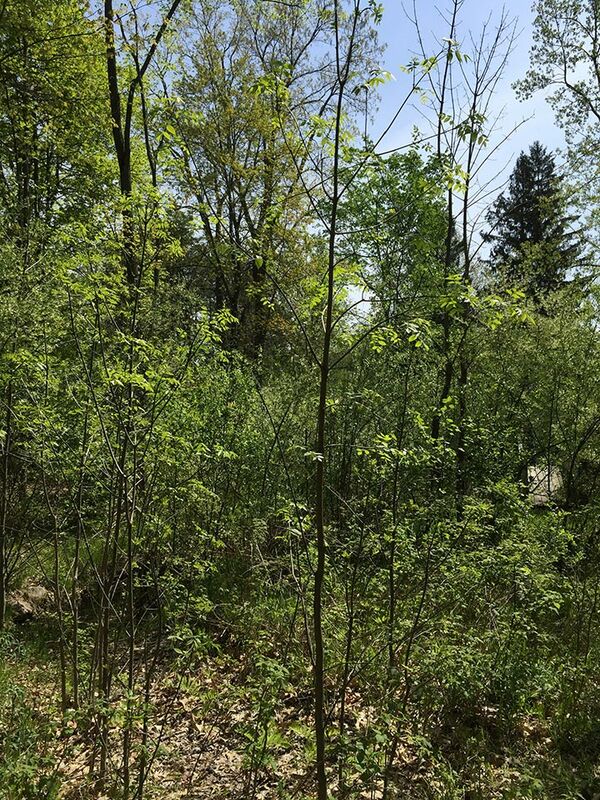 We spent months selecting the trees and each of the “ritual leaders” spent more months researching their trees and being prepared to lead their group in raising the right energy for the ritual. 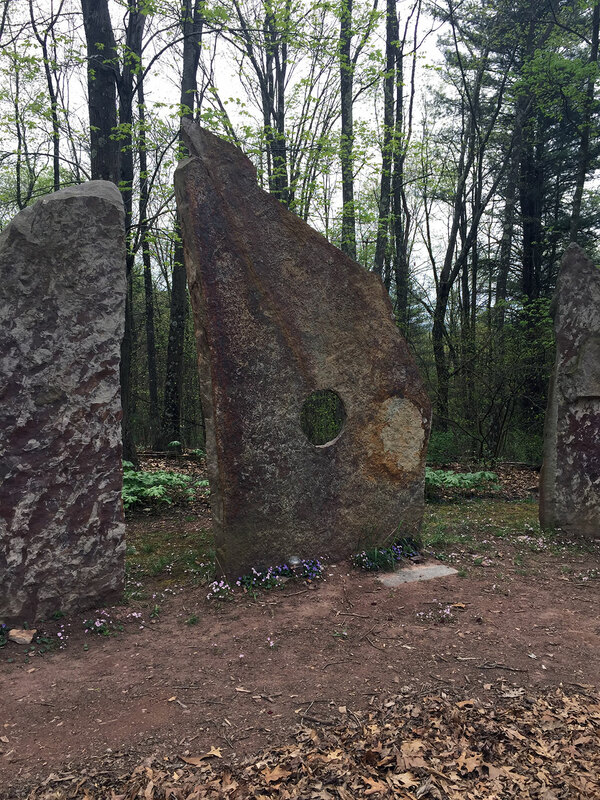 In sum, we worked to attune participants to their own stones and sacred trees, in order that we might begin to connect them and weave in the ancestral magic of the ley line. As part of the preparation for the ritual, eight fire tenders built and consecrated sacred fires (a central fire around whih we placed our stones) and four quarter fires. Further, a group of druids also created a cornmeal sacred circle using ogham prior to the ritual; this allowed us to again, place a physical manifestation on the landscape of the energy we were invoking. The sacred circle had a number of conentric circles and lines featured both ogham as well as material from our sacred trees. The Galdr ritual itself did not have a specific “script” of words, although we certainly had a script of actions and flow, unique to this gathering and space. We begain by honoring the trees, the stones, and the fire. Then, we did a similar thing to last year’s Galdr at MAGUS, where we had participants in four groups chanting, moving, and circling. In this case, participants were circling a sacred fire and the stones that we were blessing. After raising this energy, we left the stones in that sacred space till the end of the gathering where once again chanting, each participant was able to take his or her stone and recieve instructions for how to place his or her stone. Once the stones were empowered, at the end of the gathering, each participant came and gathered up their stone. Each particiapnt was also given a scroll with instructions on what to do next. Each participant was asked to find a sacred place for their stone of their choosing, to establish a sacred space (using OBOD’s grove opening or any other method of their choosing), to set their stone and chant all four sacred trees, and then to envision a line traveling from their stone back to the stone circle at Four quarters. As they envisioned this, they would once again use our “singing up the ley lines” chant. We also asked participants to “map out” where their stones went on a Google Map, so we can literally see the lines being created after the gathering. There’s a lot of information here to get you thinking. The thing that I like about this is that we are responding in a positive way, building anew, something that is ours, unique, magical and choosing to see the land as the enchanted, sacred place that it is. I hope that other individuals and groups will find the above information inspiring and I encourage you to experment and see what you develop. This idea and ritual is the creation of many minds and hearts! Contributors to this ritual include Cat McDonald (blog: A Druid’s Well); Loam Ananda (blog: Loamology.com); John and Elmdea Adams; Brom Hanks; David North and Nicole South; and Dana O’Driscoll here at the Druid’s Garden. 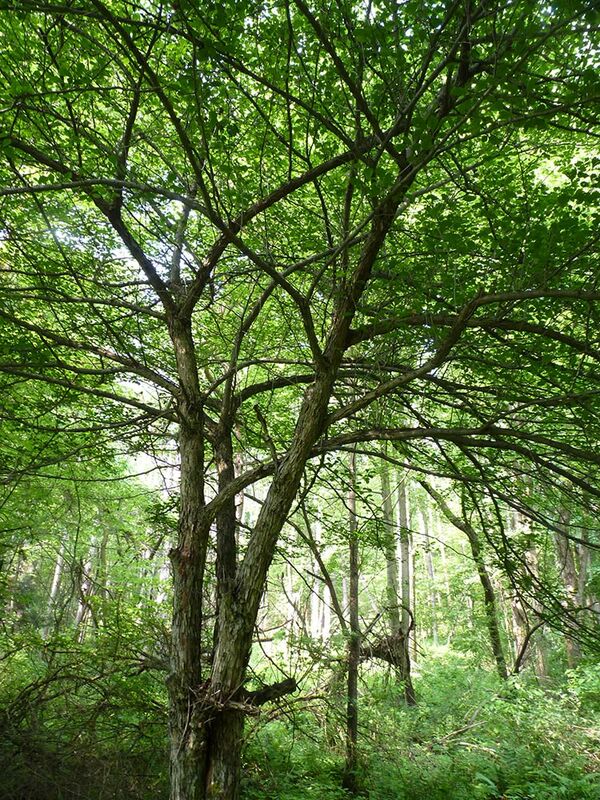 I am going to do a series of posts on trees–I started a second 3rd degree Adept project for the AODA, and its on expanding the traditional Ogham to include plants native to the Mid-west/mid-Atlantic region. This project will also take me three years, but its work well worth doing :). The first tree I want to focus on as part of this work is the Hickory tree–which is a bit of an elusive tree in terms of Western knowledge, but when we look to native American traditions, we find a wealth of information. 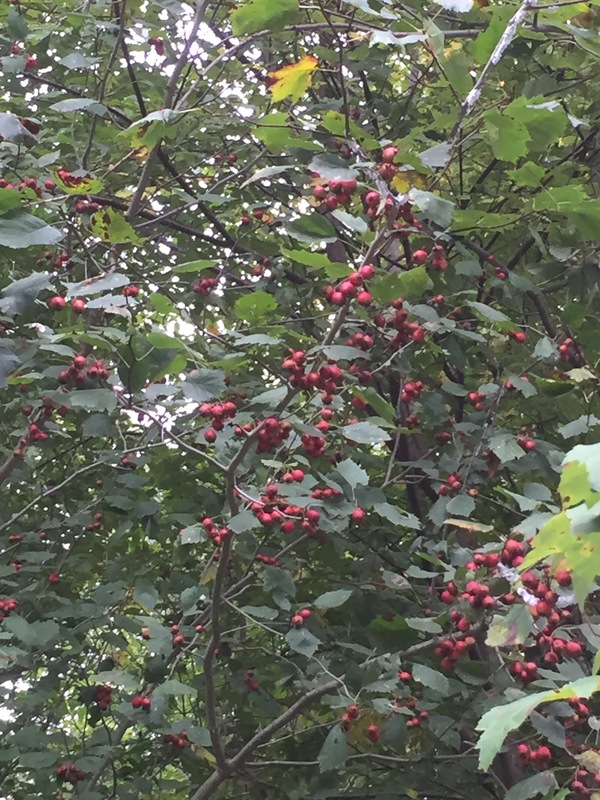 Physical Properties: Hickory trees typically produce a good crop of nuts every third year after they reach 30 or 40 years old (depending on the sub-species). Hickory wood is extremely tough, and was used by natives and settlers alike in the USA as a wood for axe handles and other tools (a practice that continues to this day). The Ojibway used the wood for bows due to its elasticity and strength. Hickory wood remains one of the most efficient woods in North America for burning (only Black Locust, a non-native tree, has a higher BTU). Hickory also makes an excellent charcoal (and savory smoke). 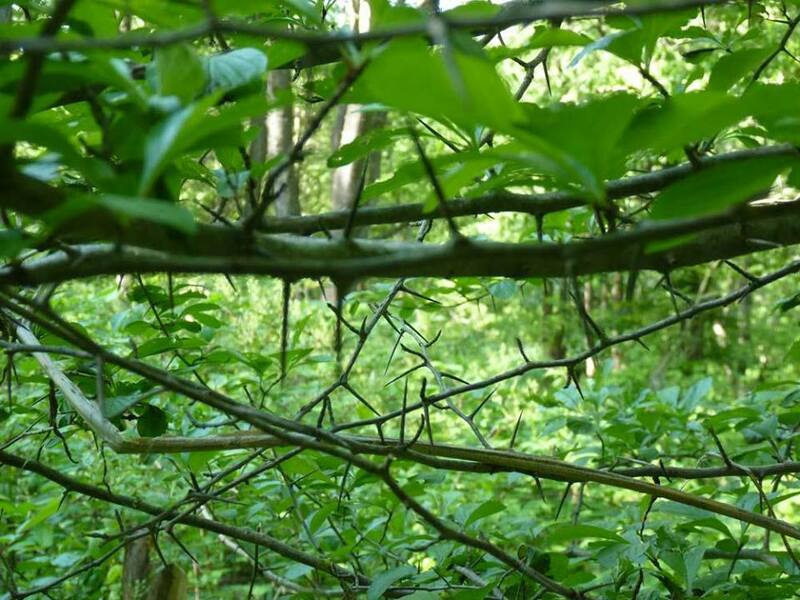 In Michigan, we have a number of hickories, including red hickory, pignut hickory, shellbark hickory, and shagbark hickory. 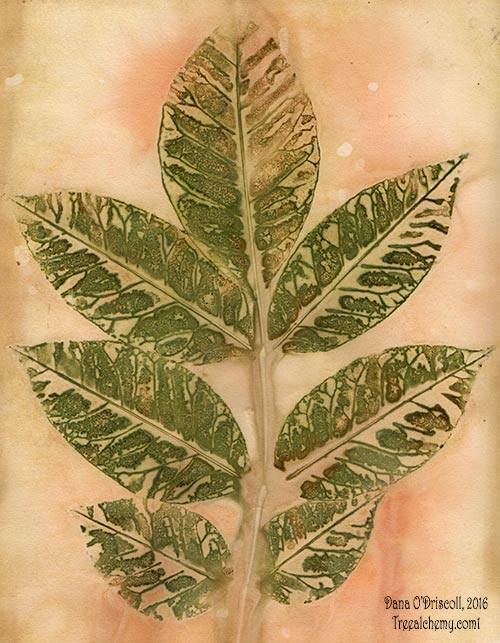 The Doctrine of Signatures: The Doctrine of Signatures is used in traditional Western herbalism and suggests that the plant itself and its physical qualities help us understand the qualities that it helps heal. I’d like to propose, also, that we can use the doctrine of signatures to understand the magical properties of trees, especially those that are not traditional to the western magical literature, like hickory. Patience: Hickory is very slow to grow. 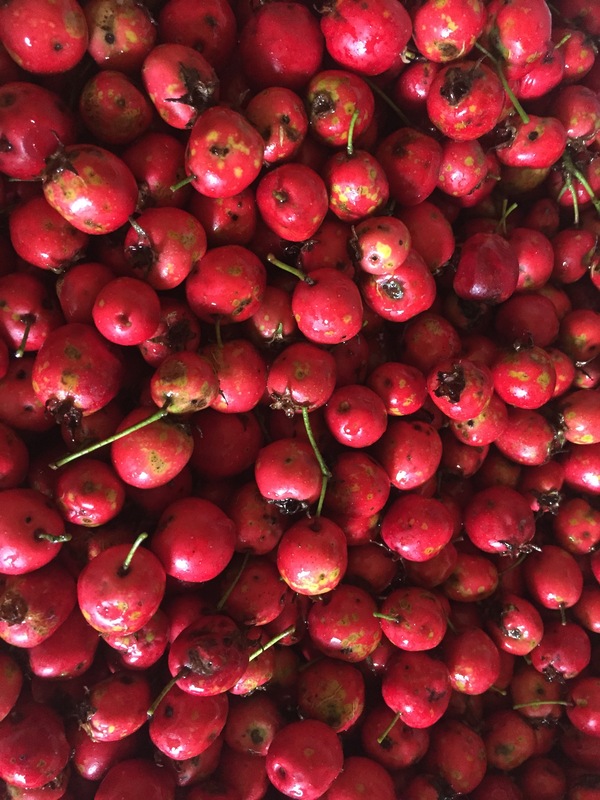 A typical hickory tree takes 30 or 40 more years to produce nuts. 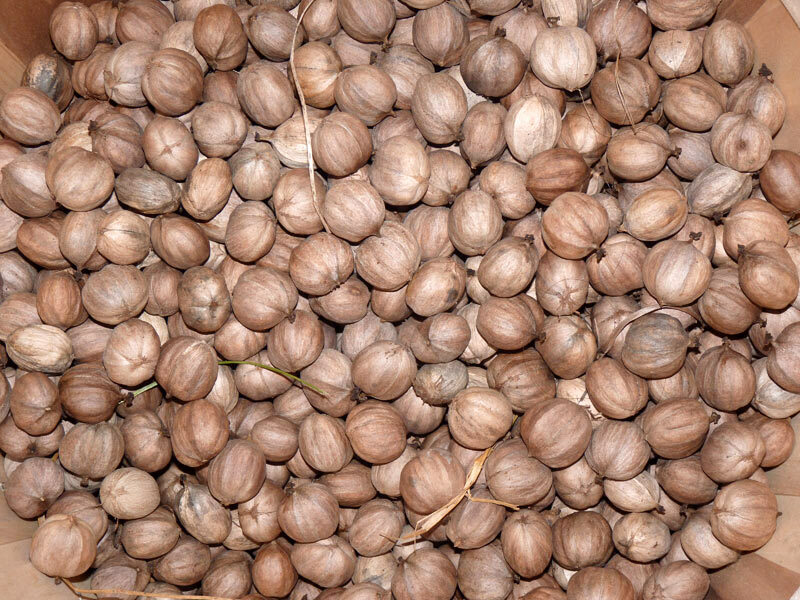 Furthermore, after you’ve waited the 30 or 40 years to see the tree produce nuts, if you’ve ever tried to get at hickory nutmeats, you’ll know its hard to get the full nutmeat out easily. Both of these qualities lend themselves hickory being associated with patience. Strength yet Flexibility. Hickory wood is prized and used for tools, bows, and furniture because is nearly as strong as steel but very flexible. It burns very clean and makes a long-lasting fire. Both of these qualities inherent in the tree lead to its qualities of strength and flexibility. 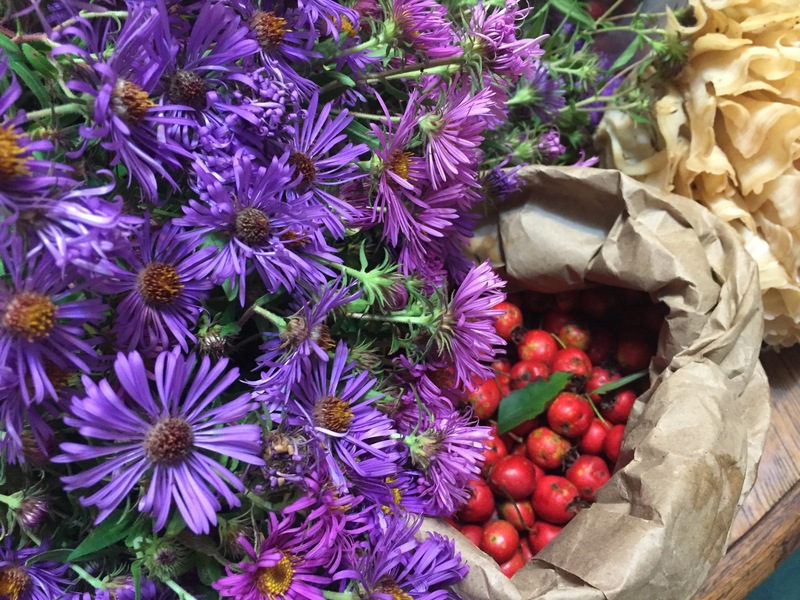 Traditional Western & Magical Herbalism. Very little in the traditional lore books speaks to hickory, neither traditional herbals (Wood, Grieve) or magical herbals (Greer, Beyerl). I was expecting to see something from the Hoodoo tradition, but it, also does not appear in Yronwode’s Hoodoo Herb and Root Magic. Cunningham, who I don’t always like to trust, has something about the tree focusing on law/keeping away the law, but I have no idea where he derived his information. I’m not seeing it repeated anywhere else, and its not consistent with the doctrine of signatures nor the native lore. Native American Lore/Myths: Native American mythology sheds some substantial light on the magic of the hickory. The Seneca discuss hickory trees at length in their mythology (as described in Seneca Indian Myths, collected by Jeremiah Curtin). The hickory is featured prominently in these myths is connected with the dead and bringing the dead to life. 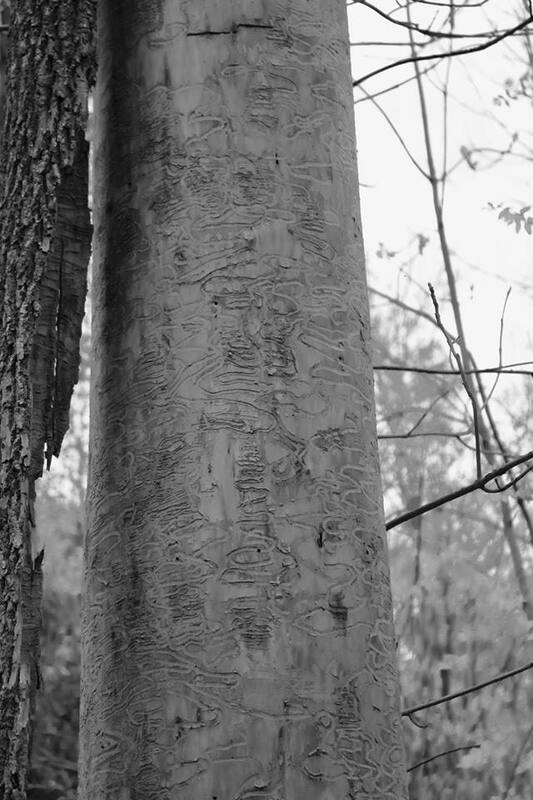 In “Okteondo and his Uncle”, “Man-Eater and his Brother,” “Owl and His Jealous Wife,” “Uncle and Nephew” and “Hodadeio and His Sister” the bones of the dead are placed before a great hickory tree (usually after being eaten by cannibals) and, typically, the living person who placed the bones pushes against the hickory and shouts “Rise up or the tree will fall on you” the dead rise up and become living again. In “Hodadieo and his Sister”, after Hodadieo’s sister rises up from the dead under threat of being crushed by the hickory, Hodadieo throws a hickory nut to the west and commands the other nuts to follow, which they do, and all the nuts end up in the family’s stores for the winter. In other tales, the hickory is made into canoes (Wishakon and His Friend Visit Plethoak) for travel. Native Herbal Uses: The sap of the Shagbark hickory was used by the Iroquois as a sweetener and, when mixed with bear grease, a bug repellent. 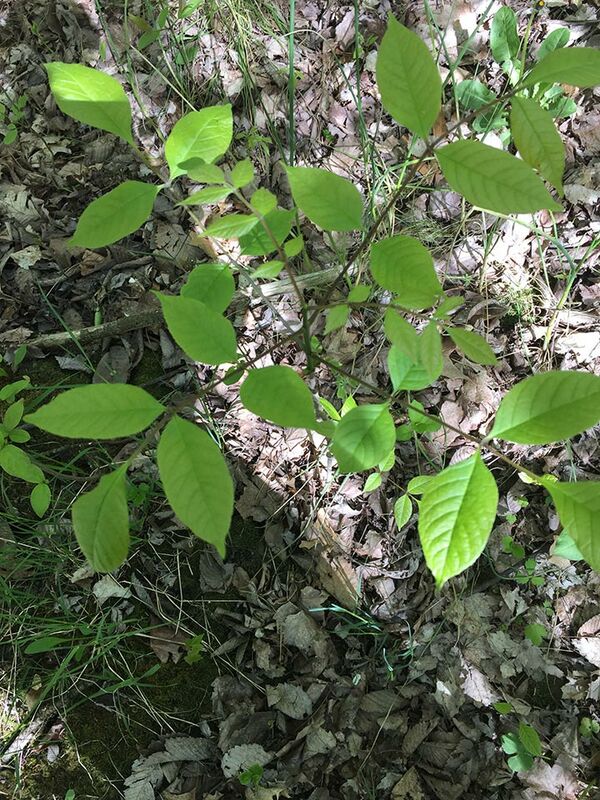 Shagbark’s young shoots/leaves were used by the Ojibway for headaches. 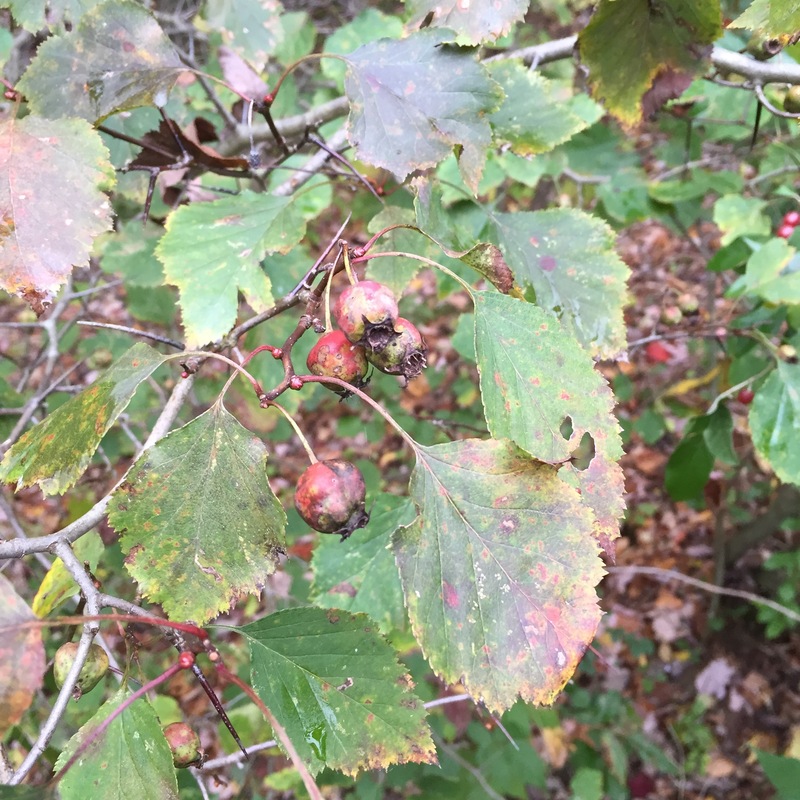 The Potawatomi boiled the bark and applied it to tender muscles for arthritis pain. 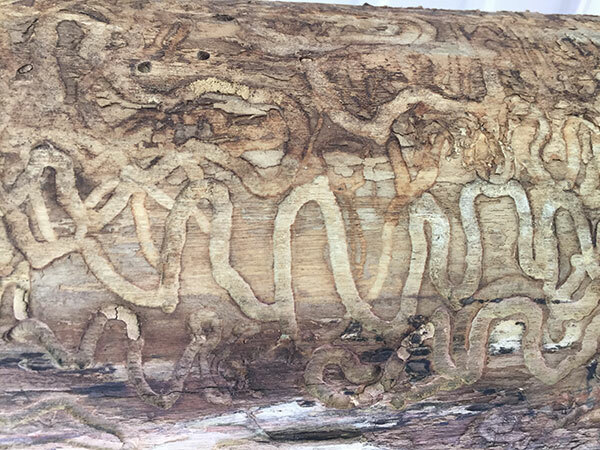 My Hickory Nut Experiences: I have been having a difficult time this year, as I mentioned in an earlier post about blight and the magical garden. I have found myself really, really drawn to the hickory tree during the last few months. 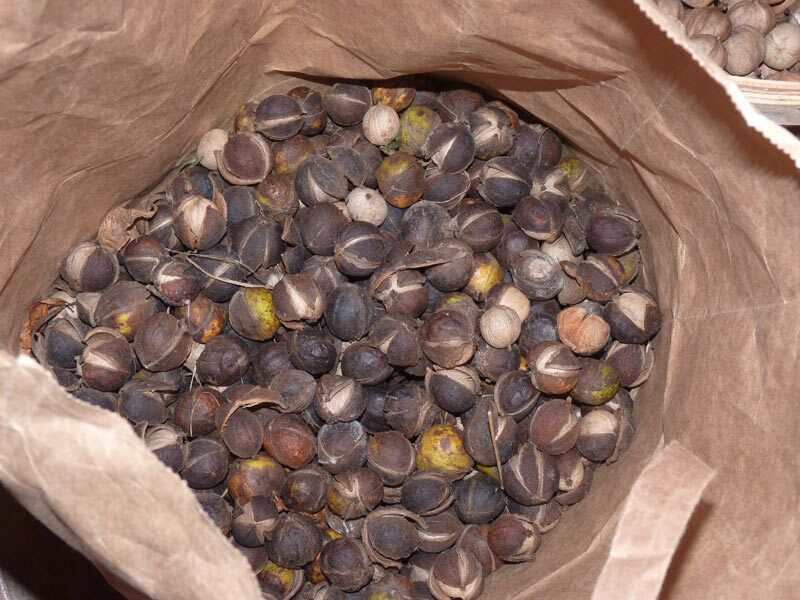 A friend and I have been gathering an abundance of hickory nuts this year–more than either of us have ever seen (see photos, lol)! We probably have over 100 lbs of hickory nuts we are now shelling. One night, despite the fact that I had lots of other things to do, I found myself shelling hickory nuts for a long while. It was peaceful, relaxing activity, and the more I shelled, the more I was at peace. A few days later, I went back down to this amazing pignut hickory tree at the corner of my property, where I had been gathering the nuts. 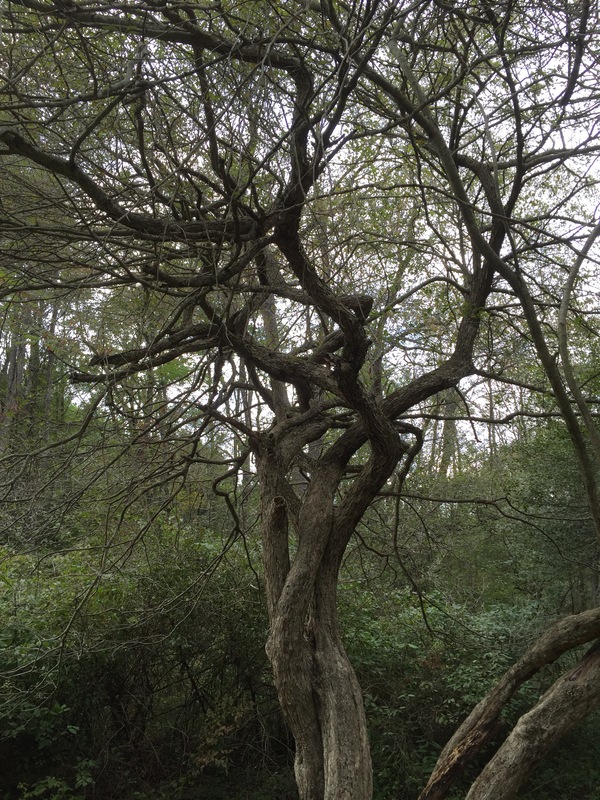 I sat with my back against the tree (this is a practice described in John Michael Greer’s Celtic Golden Dawn curriculum, which I’m working through) and did a tree meditation. It was incredible. I watched the sun set, and I felt the hickory tree healing me and calming me. 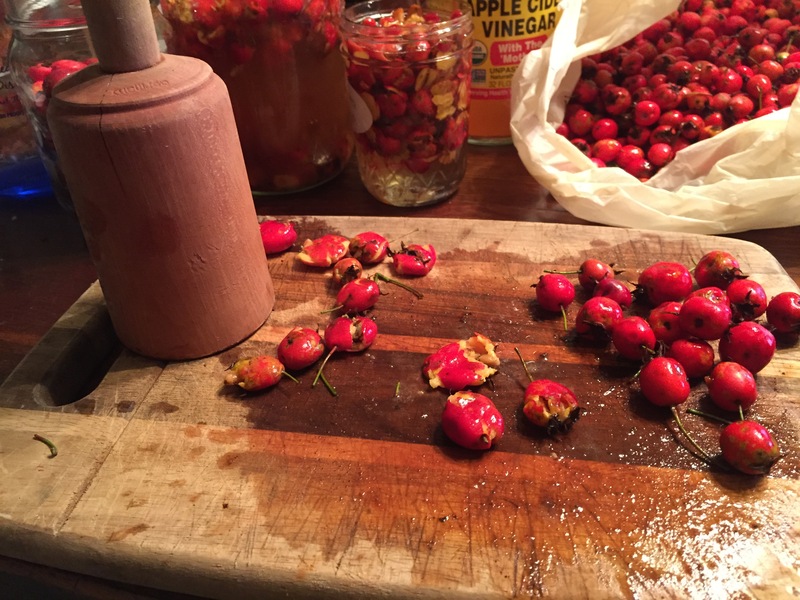 I’ve also been making a “four sacred trees” brew using hickory nuts and some other trees–I’ll blog about that shortly in my next post :).